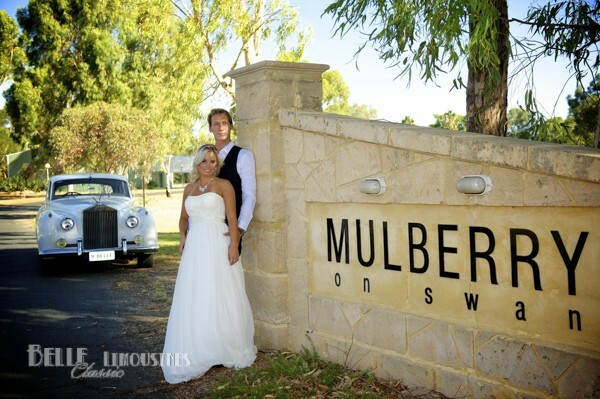 Mulberry Estate is a major Swan Valley wedding reception venue. With three main reception rooms commanding spectacular views over the lawns to the river, the venue can cater for smaller to large weddings and functions with ease. 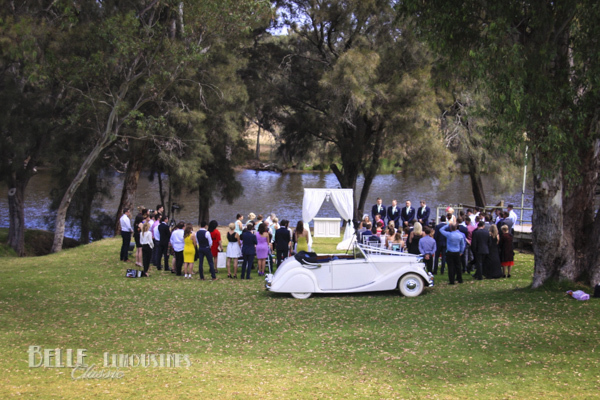 The excitement is very special when guests at a riverside ceremony first see the classic bridal car and limousines driving down the grassed slopes toward the wedding location. The venue has a reputation for friendly staff and hosting great receptions with good food and service in large elegant rooms with a beautiful outlook. 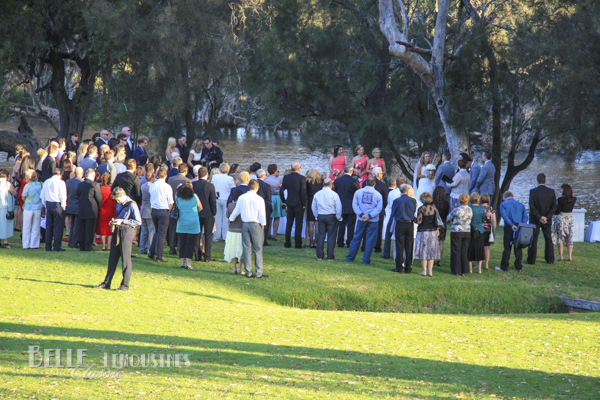 The grassed foreshore is a favourite garden ceremony location and there are many photo backdrops on site for an all at the venue wedding. 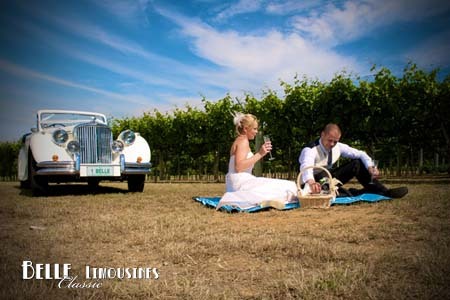 It is also a short drive to character Swan Valley photo locations or to historic Guildford to provide different textures for your wedding albums. 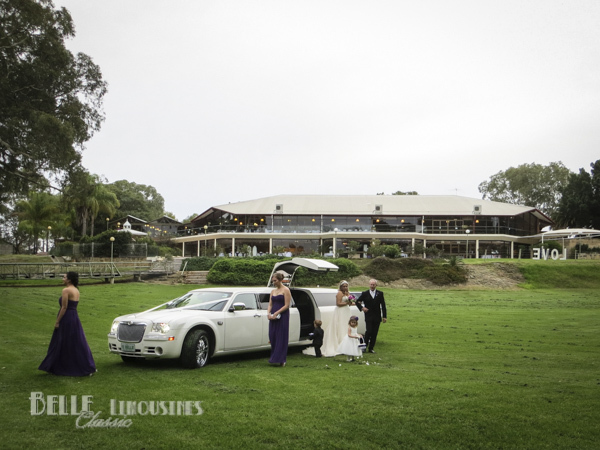 The large estate has ample parking for guests and great access for all limos to drop off near the reception rooms. Direct access to the reception room entry doors varies depending upon the room chosen. The Mulberry Room is the main reception room upstairs has a dedicated drive to the door which is suitable for all vintage wedding cars and Chrysler limos. Larger Hummer limousines will need to drop off at the stairway in the car park. The Champagne Room, the eastern reception room downstairs has a dedicated driveway which is only suitable for the smaller sedan based wedding cars. 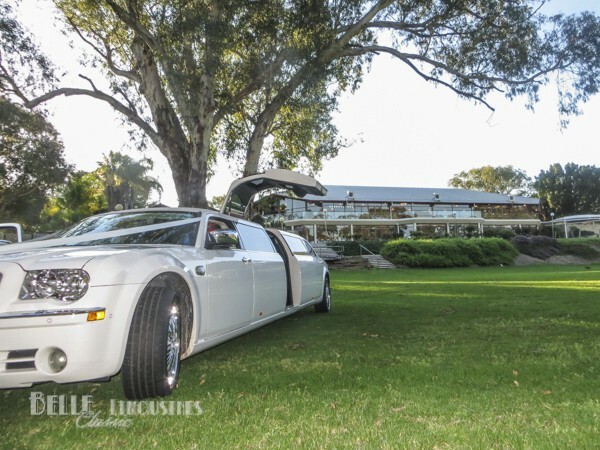 Limousines can not negotiate the turning circle and will need to drop off at the top of the short driveway to the room. The Burgundy Room, the western reception room downstairs is usually accessed by walking around the western end of the venue and the drop off is near the entrance to the main reception room or via the car park. When organising late night get-aways it is important to identify the reception room being used as it can be a little confusing at the venue if three weddings are finishing at the same time. 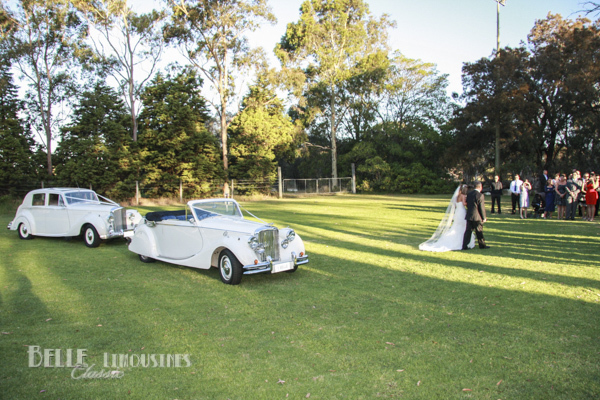 Mulberry Estate are very liberal with access to the foreshore for wedding ceremonies. 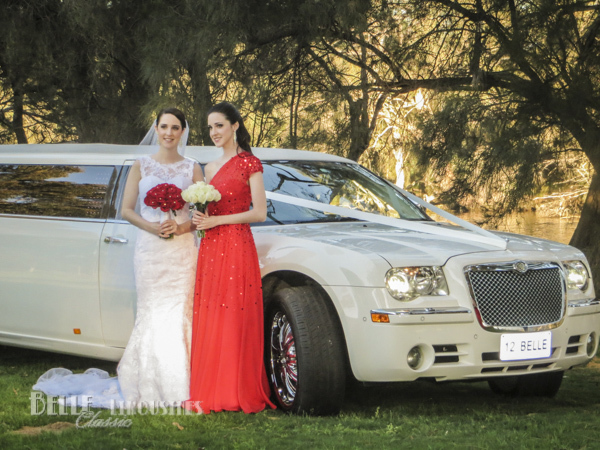 Belle Classic Limousines are happy to drive brides to the ceremony location in all of the classic wedding cars and limousines. Note that following heavy rain access to the foreshore may not be possible for the heavier Chrysler limousines and Hummer limos due to the risk of bogging in the softer soils. The driver will assess the ground conditions on the day to determine the suitability of the ground for the limos. The lighter classic vehicles are less troubled in these conditions. 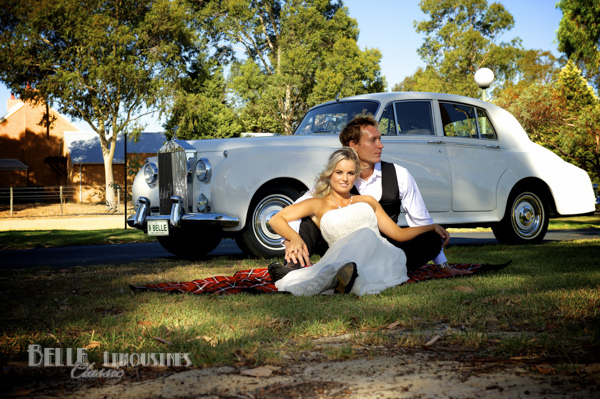 Some limousine businesses often refuse to drive to the ceremony locations – ask staff at Mulberry Estate for their recommendations. 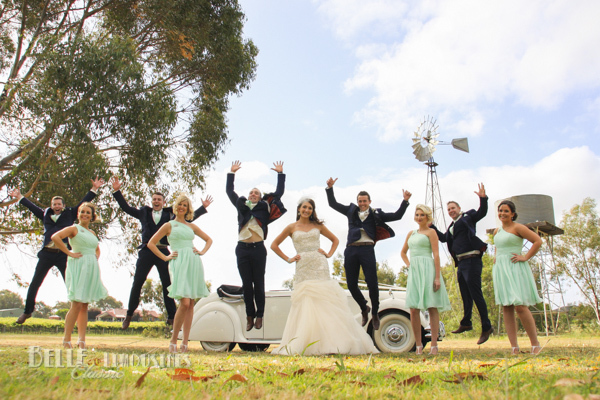 Mulberry Estate has several interesting aspects for wedding photo backdrops. We also cruise to nearby locations if couples request. Vineyards and historic Guildford are frequent photo locations from Mulberry Estate. Mulberry Estate at one time ran an active cellar door and restaurant across the weekends. Currently the weekend lunch offering is restricted to a Sunday buffet lunch which we are happy to build into a wine tour if it suits your day. For groups of ten we can probably organise a private dining location for a family or work function. 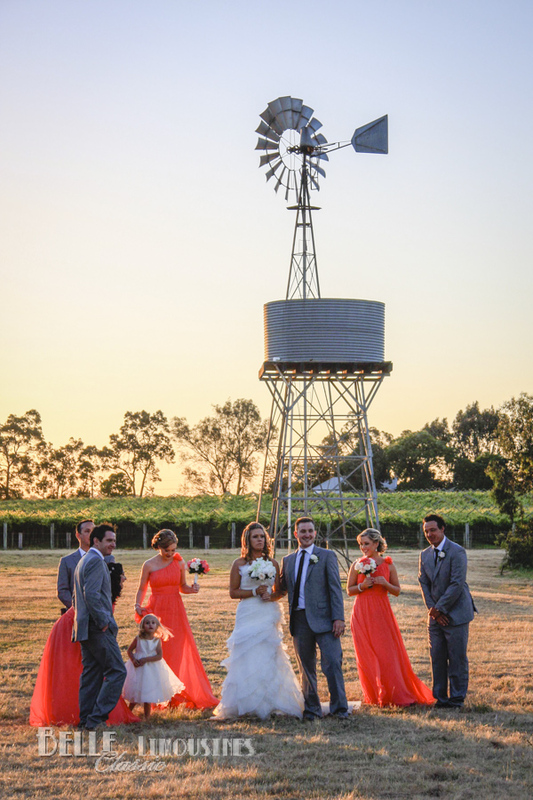 Mulberry Estate is one of the Swan Valley’s premium wedding venues and its popularity means it may host two or three weddings simultaneously on a Saturday night during wedding season. Whilst many locations have limited parking, Mulberry Estate has sufficient guest parking on site even on the busiest nights. The formal car park is adjacent to a large grassed pasture which can accommodate spill over parking if necessary. The only concern with guest parking is that guests do not block the entry gate to the riverside lawn (found to the eastern side of the carpark). It is well sign-posted but if blocked by a late guestrushing to get to the ceremony location your entry will be delayed while they are retrieved from the riverside to move their car so the bridal cars can make their entrance. 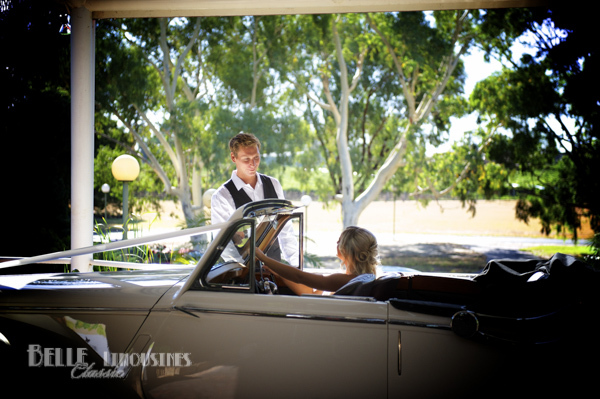 Belle will supply an end of night chauffeur car service to couples who use our limousines during the afternoon. We recommend at a minimum that you pre-book end of night transport for the bride and groom. Also consider providing cars or a limousine for special guests like parents and grand parents if they are likely to be drinking during your wedding celebration. The proliferation of short call Uber X cars in Perth has greatly increased the general availability of taxis and short notice charter services. This has made patrons a little complacent about when to pre-book chauffeur cars. Short call drivers tend to frequent the busier centres like Perth city, Crown casino and the Perth airport where they will pick up frequent fares. On a Friday or Saturday night there will be several driving through the Swan Valley at any given time. 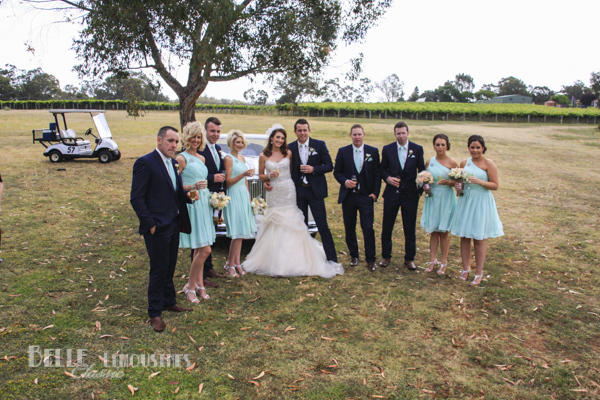 The big point is that up to 20 weddings can finish between 10.00 pm and midnight in the Swan Valley on popular wedding nights with 100’s of guests relying on a short call car hire. This is the same time that most of the entertainment venues and hotels around Perth are finishing for the night as well as all the Perth based weddings. It is also a popular exit time for many interstate flights from Perth airport. 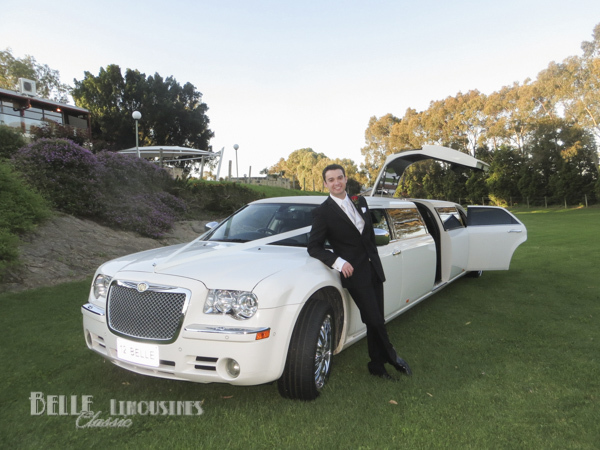 The high demand means that the supply of on-call chauffeur services is quickly consumed and don’t be surprised if Uber charges their peak rates if you are lucky enough to secure a car in the Swan Valley. Many couples pre-book a bus for guests as a cheap option from the Swan Valley to a central location where access to transport is more reliable. 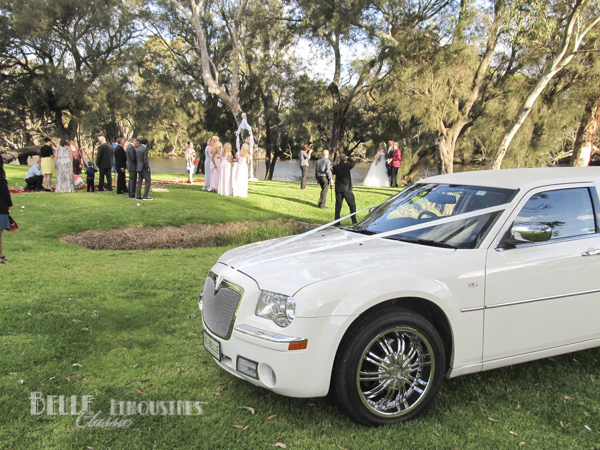 If you are keen to get away quickly from a Mulberry on Swan wedding then a pre-booked charter vehicle is the safest option. 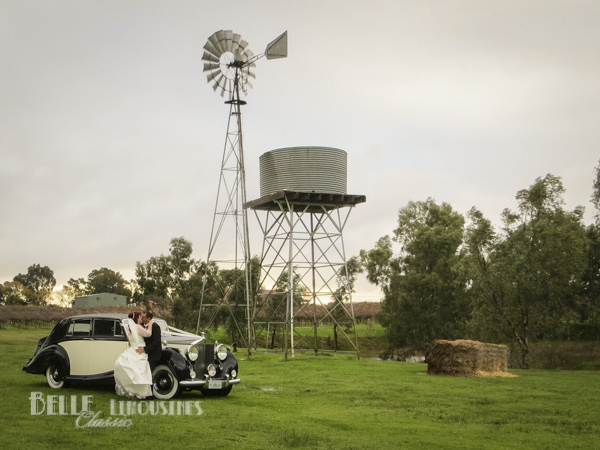 It is common to see wedding guests from Swan Valley receptions wandering down dark roads after midnight toward West Swan Road or the Great Norther Highway in the hope of flagging down a passing taxi because there is such a short supply of available cars on-call. 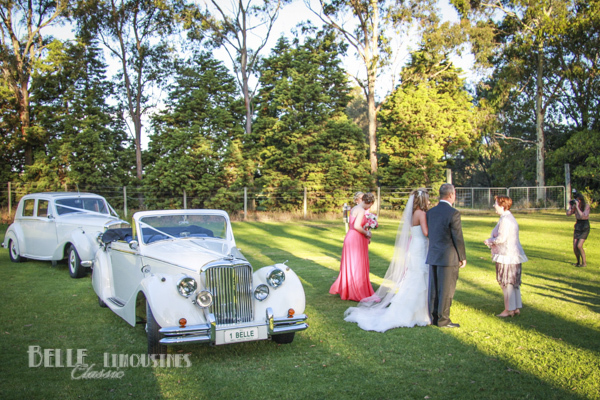 Belle Classic Limousines is a preferred supplier at Mulberry Estate so, as always, provide your best service. The management staff are well acquainted with many of our drivers so expect a cheery welcome here. The most important consideration when driving couples to Mulberry Estate is to confirm the preferred drop off point. Entry to the riverside ceremony location is via a drive near the eastern perimeter fence. When you come through the main gate into Mulberry on Swan Head past the work shed on the left and into the left car park. You will see a gate (usually open) and sign posted no-parking which give access to the eastern paddock. Drive towards the fence and the track to the riverside will become obvious. Stretch limousines will need to take a late swing right toward the river because some of the undulations on the bank are not suitable for the Chrysler limousine (it will ground out and potentially become stuck). Take care. There is also a serious drainage channel along the astern fence line which needs to be avoided. Concentration is needed especially if the ground is damp and the clay slippery. Once on the lower grassed area most of the ground is level and solid but there are some dips and holes which need to be avoided. Travel slowly at all times and be vigilant. When leaving the lower area find the most grassed route back to the top keeping a good line with the car to avoid grounding out, especially in the limousines. The gazebo or marquee to the right of the main building is often used for a back-up ceremony locations on a rainy day. Confer with the bride. The drop off location is usually the main entry which is covered for the vehicle exit. If the wedding party is being delivered to their reception from an off-site photo session or ceremony the drip off is usually at the main entrance accessed via the ramp at the left of the building and a sharp right turn into the drive across the front of the building. Chrysler limousines can use this drive but care is needed with the approach. End of night get-aways pick-up at the main entrance for Mulberry Room weddings. 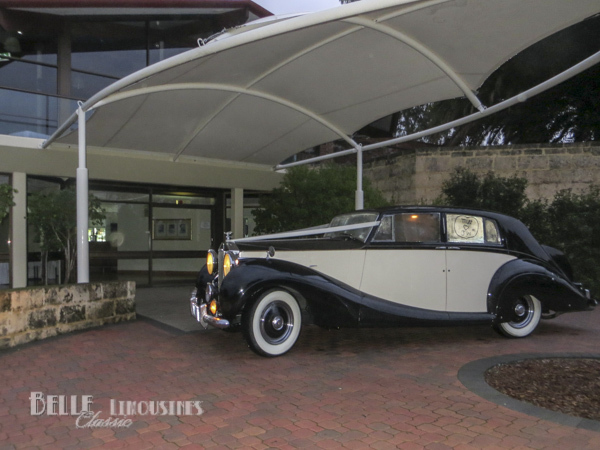 The Champagne room is on the eastern side of the building and has a dedicated entry drive with a small turn around and which is suitable for classic cars but not longer limousines. Do not drive a Chrysler limousine into this drive, it cannot be turned around and will ground out on the hump. End of night get-aways from the Champagne Room are from the dedicated drive way noted above for chauffeur cars. 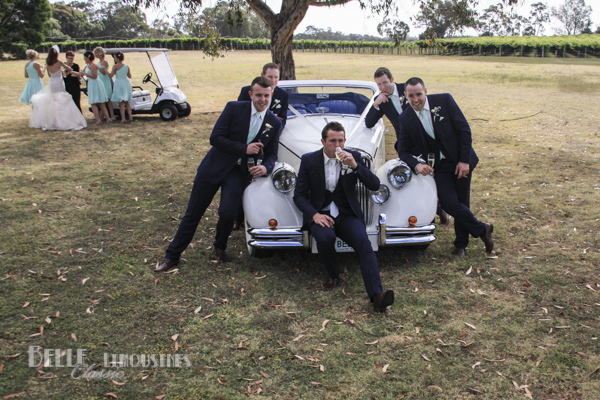 Chrysler or Rolls Royce limousines will need to collect the bride from the eastern side of the front car park. The Burgundy Room is on the western side of the lower level. It is usually accessed via the walk way around the right hand side of the building. Drop-off can be via the main entrance drive through if it is not being used by a different wedding or will need to be in the main car park where the drive through rejoins the car park. End of night get-aways from the Burgundy Room can be from the dedicated drive way to the left of the building (next to the Champagne Room) if there is no wedding in the Champagne Room. You will need to walk down the drive and investigate where weddings are before driving into the drive where another wedding’s cars may already be parked. Otherwise the western (right hand) side of the buildings main car park will need to be used. 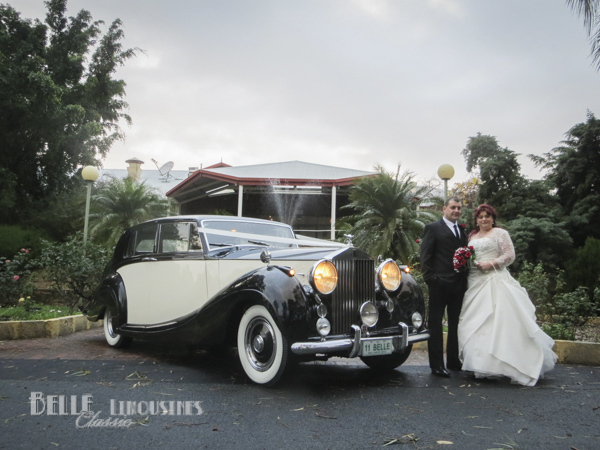 Chrysler or Rolls Royce limousines will need to collect the bride from the western side of the main car park.